IMT Justice:ID™ is a new kind of Enterprise Master Person Index (EMPI) solution that leverages the power of master data management to create a secure, authoritative, 360° view of a Justice client across Law Enforcement, Courts, Prosecution, Corrections and Rehabilitation. Simply put, IMT Justice: ID™ is a new approach to an Enterprise Master Person Index (EMPI) that empowers you to know your clients across the entire Justice system, understand the relationships between clients and justice staff, and facilitate better management of encounters and handoffs between Justice departments such as Law Enforcement, Courts, Prosecution, Corrections and Rehabilitation. Justice: ID™ provides a trusted 360° view of justice clients across the system and provides solutions to the numerous paper record issues and choke points in the system today that increase time to trial costs and create inefficiencies in the criminal justice system. View the introduction presentation to Justice: ID™ now. Numerous ‘choke points’ exist within current processes and especially with regard to handoffs between departments increasing time-to-trial costs. Poor alignment between available judicial time and cases ready for trial lead to significant under-utilization of available judicial time increasing judicial stay of proceedings. The duplicate record rates in law enforcement RMS systems impede investigations and overall case management. The IMT Justice:ID effectively addresses these issues. Agencies and departments can maintain their own systems and only share need-to-know information, privately and securely. 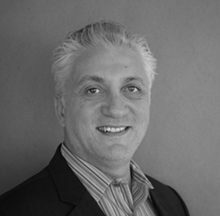 The IMT Justice:ID is built on IBM’s InfoSphere Multi-Domain Master Data Management (MDM) infrastructure, which is the foundation for many of the most sensitive and confidential Registries in the world. The IMT Justice:ID leverages the most accurate, trusted and proven matching and linking engine on the market, the IBM InfoSphere MDM matching algorithm. 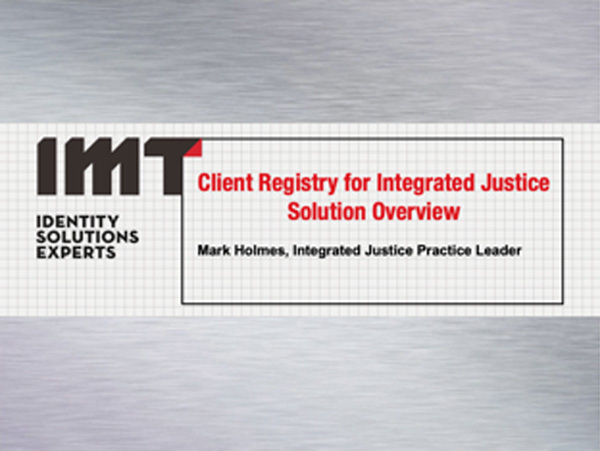 Could you benefit from a Client Registry for Justice? You can’t deliver justice without understanding the complete picture. Whether you are totally new to Justice:ID or you’ve been working with MDM for years, our client training courses will give you the skills you need.